Whenever going to the market place in her native Nigeria, 22-year-old Adamma Umeofia couldn’t help but observe the inconsistent, disorganized and aesthetically displeasing way in which butchers conducted their work. They often had a small box for cutting the meat and a separate place to display it and bag it for their customers. She gradually decided that she wanted to create a better designed market stall for the butchers, in order to ensure local customers a more enjoyable market experience, while also enabling the meat vendors to sell more of their products. But, how would she do this? During her second year at architecture school, Adamma came up with the idea of the Bi-table Unit, a multi-layered table with clean surfaces, one specifically designed for meat-cutting and one for displaying the meat. The table was perfectly suited to the open-planned design of the market-space, addressing the needs of meat vendors, but also allowing customers to see that the space was clean and intently-designed for its purpose. To make her idea even better, the young Nigerian, who was 19 at the time, used recycled building materials. The first Bi-table unit was installed in Ajah market in Lagos in May 2011. Adamma had the opportunity to discuss the design with some of the meat vendors, after also receiving great feedback from the local residents regarding the design, which allowed her to create a better revised version intended for mass production. In order to distribute her product, the young Nigerian entrepreneur created WeBuilt: Africa, a social enterprise reuniting her passion for Africa, design and architecture. The vision for the organization surrounded the fact that contemporary architecture “is meant for everyone, not just ‘high society,’ so, the intention of this design proposal is to introduce innovative architecture with the influence of materials familiar to the site’s existing conditions.’ Adamma’s ultimate goal is to transform WeBuilt: Africa into a movement of African designers working to improve the lives of fellow Africans. Another product developed under WeBuilt:Africa is the ‘Carry-Go,’ which consists of a portable table, chair and canopy proposal, created to easy the daily load for vendors who do not own stalls. It conveniently folds into a handbag, which directly incorporates the existing cultural style of the market space, by including different traditional materials such as ankara. Just as with the Bi-table Union, she tested the prototype of the ‘Carry-Go’ with market sellers and buyers. Adamma’s goal was to create a product that would be easy to carry and assembly as well as aesthetically pleasing. The young Nigerian’s interest in listening to the wishes and needs of her potential clients and local people is a wonderful trait that sets her apart and could ensure the long-term success of her venture. Apart from focusing on improving the market experience, Adamma has another, even more ambitious goal. She wants to ensure affordable and aesthetically pleasing housing options for African communities. She has also designed ‘Contemporary Shacks,’ a living space that contains a bedroom, kitchen, shower cubicle and a incorporated sales stalls, catering to the requirements of vendors trying to sustain their families. The pieces will be prefabricated, in order to ease construction. For her revolutionary products, the young entrepreneur has received high accolades. In 2012, she was named a Google Youth Zeitgiest Young Mind, which provided her EUR 10,000 to further her organization. 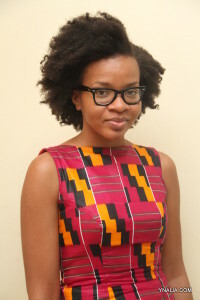 She was also a finalist for the 2011 MasterCard Foundation’s Anzisha Prize. While, in the beginning, it was just Adamma running everything from the website to writing press releases, her team now has 8 members and will only continue to grow in the future.